While Obama and many Democrats were using tax payer dollars and countless hours of time to target the NRA and other Law Abiding Citizens that own guns… Terrorists hit us AGAIN!!! 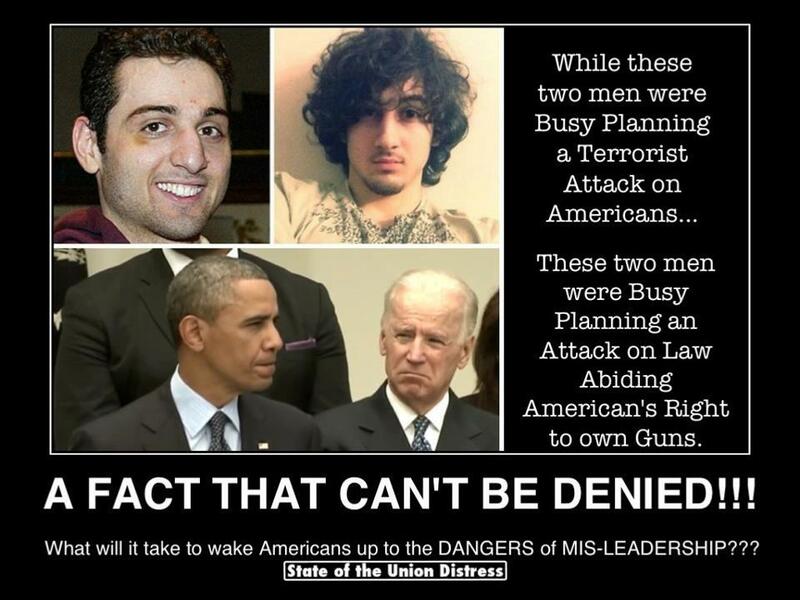 While these two men were busy planning a terrorist attack on Americans…These two men were busy planning an attack on law abiding American’s right to own guns. What will it take to wake Amerians up to the DANGERS of MIS-LEADERSHIP??? Columbine Student’s Father … YEARS Later!! Why Grandpa Carries a Gun!